The Davis Island condos at Adalia Bayfront a gated, secured community with two and three bedroom condos. Units have washer/dryer hook-ups in them and most units offer a variety of upscale amenities. 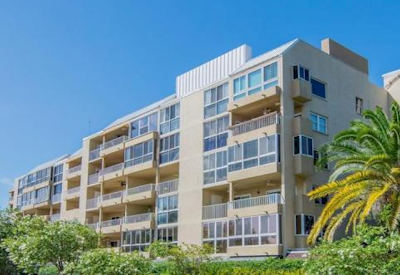 Located directly on the water, there are boat slips available for resident to use.Live the Florida dream in this Adalia Bayfront condo located directly on Tampa Bay with a private community Marina. The gated community includes a large pool overlooking the water, a Jacuzzi, a community room, fitness room, and a on-site manager. There are assigned parking spaces, one covered and one open air. The grounds consist of a gorgeous waterfront pool, dock, newly renovated fitness center and whirlpool spa. To top it off---if you have a boat, you can lease a slip in the private dock area---the only building in the vicinity that gives you immediate boating access to Tampa Bay! Within minutes of Tampa General Hospital, Downtown Davis Islands, Bayshore, South Tampa, Harbour Islands and Downtown Tampa with its great shopping and fine dining. Enjoy all that Davis Island waterfront life has to offer! Currently there are no listings in Adalia Bayfront. Please view these similar condominiums in your area.